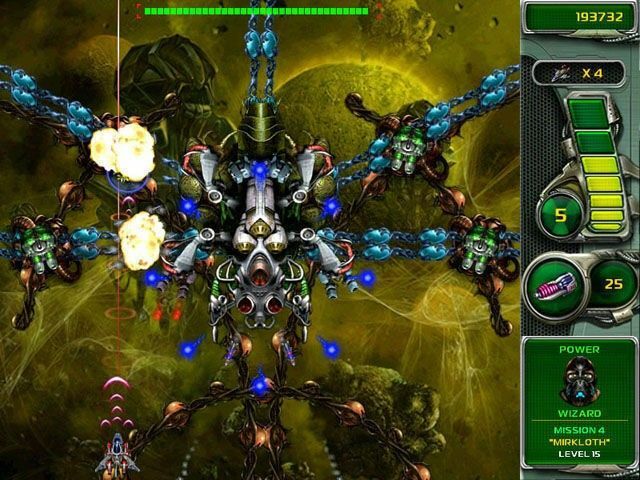 All about Star Defender 4. Download the trial version for free or purchase a key to unlock the game! The Star Defender series returns for its most explosive sequel yet. Obliterate ominous new enemies, upgrade a powerful new primary weapon, collect devastating powerups and face some of the deadliest bosses you've ever encountered! It's been a long time since your hands gripped the controls of the Star Defender and you took out the evil Insectus menace before it destroyed mankind. While your fame spread like wildfire across the galaxy, your enemies were secretly preparing another assault on the human race. This time, you'll battle ominous new enemies, upgrade a powerful new primary weapon, collect devastating powerups and face some of the deadliest bosses you've ever encountered. 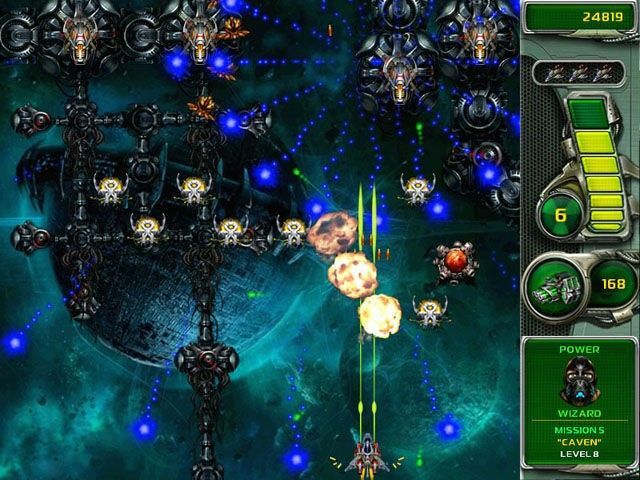 If you loved Star Defender 3, don't hesitate to play the all-new sequel in one of the best arcade space shooter series to date. Features explosive graphics and teeth-rattling audio! 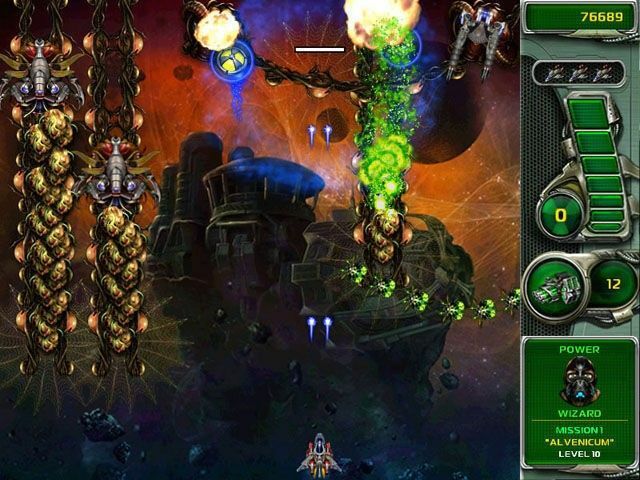 Incredible game based off of the Galaga/shmup category. I have played it through several times and have enjoyed it very much. Mission 3 and 8 are a bit difficult due to the asteroids and black hole. Other than that, it is a nice addition to the Star Defender series. Sadly, I expect it to be the last, but Awem might surprise us. THIS IS SO NICE GAME.I LIKE IT VERY MUCH.